Isaiah Day, a sophomore at the Chicago Academy for the Arts, has found his purpose. Isaiah and his family currently live in Hyde Park; the Academy is located in River West. Monday through Friday, Isaiah leaves his house for school at 7:34am. It is a five-minute walk to the Metra station. “It’s kind of cold, but it’s okay. Sometimes I have to run, but it’s okay,” Isaiah said. Like clockwork every morning before Isaiah gets on the Metra train, his mother calls to make sure he made it to the station safely. He then gets off at the Van Buren stop and takes the Academy’s shuttle to school. Isaiah arrives at 8:20am, ten minutes before school starts. Academic classes are held from 8:30am–1:20pm. 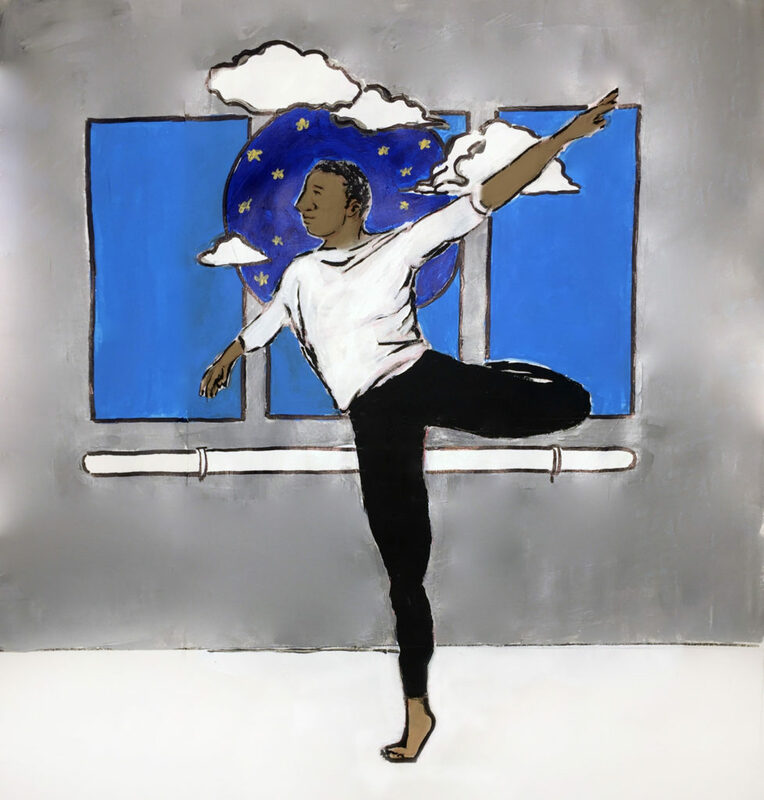 At that point, Isaiah quickly puts his assignments and books away, changes clothes, and prepares to spend the remainder of the day dancing: he studies ballet, jazz, and modern. After dance, Isaiah heads back home to Hyde Park to do physical strength and flexibility exercises. Isaiah has tendinitis in his right ankle. But, as many dancers do, he simply pushes through the pain. Aside from suffering from tendinitis, Isaiah has to push through the pain of the final part of his evening: completing his homework. Isaiah always tries to be in bed by 10:30pm every night. After hectic weeks, one might think Isaiah would just relax over the weekends. But, most Saturday mornings, when there’s no weekday shuttle to catch from the CTA, Isaiah wakes up at 3am, leaves the house with his mom at 4:30am, and sits in the car outside of his mother’s job for five hours until repertory rehearsal start at 10am, which lasts for three hours. All of this work pays off. When Randy Duncan, Chair of the Dance Department at the Academy, first caught sight of Isaiah among hundreds of dancers at a master-class convention, he knew Isaiah would be a great fit at the school. Two years into the program, Duncan still sees the desire that Isaiah has week in and week out. But while he’s here, Isaiah now also finds motivation among the student community at Chicago Academy for the Arts. Although the program at the Academy is extremely strict, dance is a way for Isaiah to express himself. It is also an escape from an outside world that has not always been kind to him: Isaiah has faced more than a few bullies along the way who tried to thwart him in his dancing path. Regardless, Isaiah has persevered with contagious positivity. In fact, after high school, he has plans not just to dance professionally, as Duncan would expect, but also to teach. Keep it up, Isaiah! You are an inspiration!!!! I’m so proud of you. Keep up the wonderful work and may God continue to bless you with anything you set your mind and heart to…..
God bless you in your endeavors. May He keep you and prosper you. Keep pressing young man!